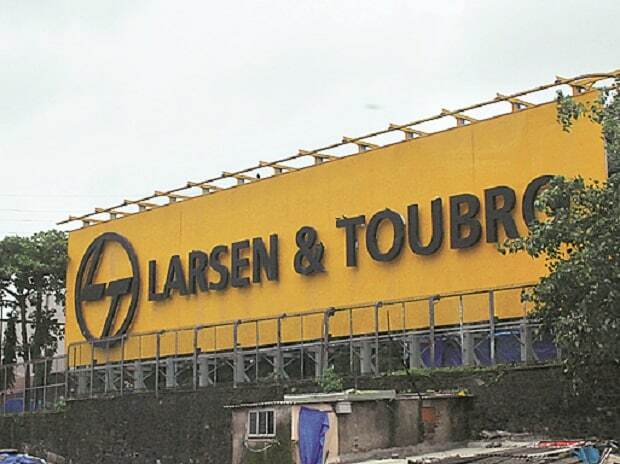 Engineering conglomerate Larsen & Toubro (L&T)'s December quarter net profit rose 37 per cent on improved operating performance and a higher other income. With general elections due in few months, the management expects order inflow to remain dull for some time. “What happens in the June quarter is difficult to tell due to elections, last part of the March quarter and first part of the June quarter will be dull,” said SN Subrahmanyan, chief executive officer and managing director for L&T. He added the slow down would be for government orders, while private sector order inflow is likely to continue. L&T’s guidance for 10% to 12% rise in order inflow for the full financial year remains, with a possibility for a ‘slight’ upside bias. For the quarter under review, L&T reported a profit after tax of Rs 2042 crore, 37 per cent up from Rs 1490 crore, reported in the same quarter a year back. Consolidated revenue for the period rose 24 per cent to Rs 35708 crore from Rs 28747 crore reported a year ago. L&T’s net profit was also helped by a higher other income of Rs 606.39 crore, owing to higher safe treasury investments. Earnings before interest, taxation, depreciation and ammortisation or Ebitda for the quarter was more than Rs 4000 crore, 27% higher from Rs 3100 crore reported a year back. The conglomerate beat street estimates, where 13 analysts estimated a net profit of Rs 1899 crore and 15 analysts estimated revenue at Rs 32,952 crore, part of a Bloomberg poll. L&T's order inflow for the December quarter dipped 12% to around Rs 42200 crore, reflective of the management's earlier guidance for a 'front-ended' financial year in terms of new orders. “Order inflow was fast forwarded in the first two quarters, with nine month period order inflow still showing a 16 percent year on year growth. There is a cushion to absorb the decline in order inflow seen in the December quarter. This puts us on good course to stay on the guidance given at the start of the year, “said R Shankar Raman, Whole-time Director & Chief Financial Officer for L&T. Securities and Exchanges Board for India (Sebi) last week rejected L&T proposal for its Rs 9000 crore worth share buy-back. The rejection was on grounds of a higher post buy-back debt equity ratio beyond stipulated level at a consolidated basis. L&T’s submission to Sebi was based on its standalone financial numbers. “It is a bit harsh an order, we are studying it for future course of action,” said Subrahmanyan. The management added the offer being a first by a conglomerate will also serve as a case study for future. On street expectation of a higher interim dividend, Subrahmanyan added, "Declaring an interim dividend (as a knee jerk reaction) is not a prudent thing to do." L&T's stake in its subsidiary L&T Infrastructure Development Projects (IDPL) is also expected to decline from the current 97 per cent. L&T IDPL is jointly owned by L&T and Canada Pension Plan Investment Board (CPPIB). L&T and CPPIB are expected to decide on the new shareholding quantum in the March quarter, according to the convertible preferential shares and debentures terms and conditions between the two entities. The consolidated order book for L&T as on December 2018 was at Rs2.84 Trillion, of which international order book constituted 21%. For the December quarter, L&T witnessed a decline in new orders from the domestic sector, while international orders rose 33%.